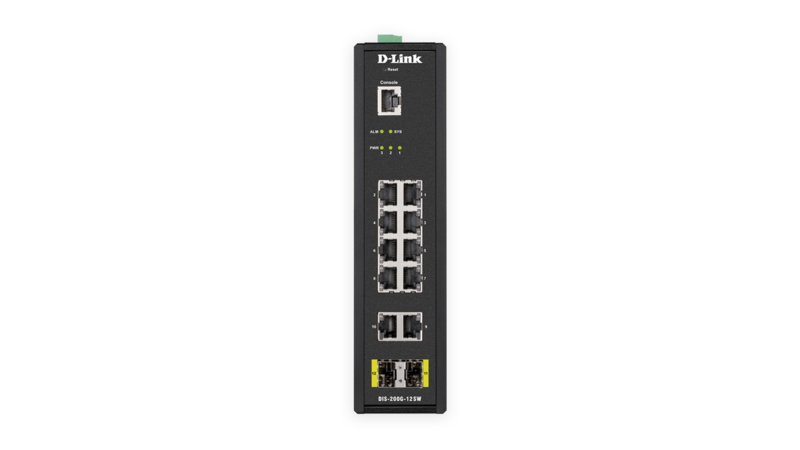 The DIS-200G Series Layer 2 Gigabit Industrial Smart Managed Switches are equipped with 8 PoE-capable 10/100/1000BASE-T ports (PoE models), 2 10/100/1000BASE-T ports, and 2 SFP ports. These switches feature a robust design making them ideal for deployment in industrial and outdoor cabinet surveillance settings, capable of withstanding the harshest environments. 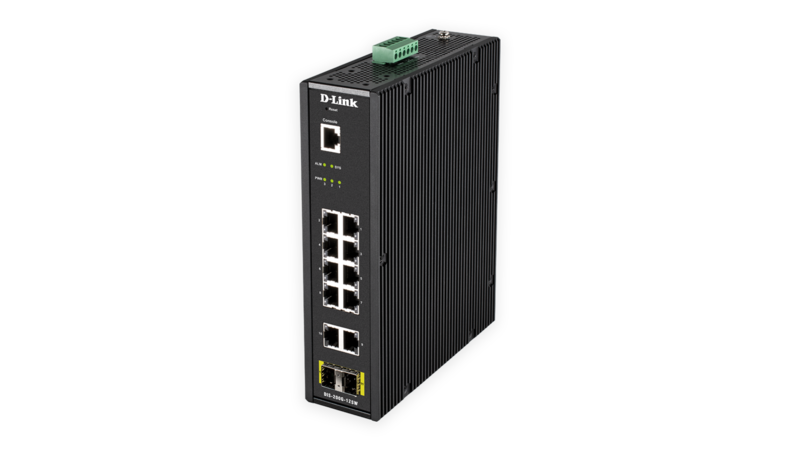 The DIS-200G Series furthermore integrates advanced management and security functions to provide a complete industrial networking solution. The DIS-200G Series switches are housed in a highly resistant IP30-rated metal casing to protect them from harsh environmental conditions. The high electromagnetic compatibility (EMC) helps protect the DIS-200G Series from unwanted effects when operating in environments with strong electromagnetic interference. Meanwhile, the fanless design extends the life of the DIS-200G Series while also being able to operate in a wider temperature range of up to 75 °C. For increased flexibility, the DIS-200G Series can also be mounted on a DIN rail, wall-mounted, or installed in an equipment rack. Additionally, the DIS-200G Series features 6 kV surge protection on all copper ports to help prevent damage to the switch and connected devices caused by sudden power surges and lightning strikes. The built-in surge protection of up to 6 kV can mitigate the damage to the switch from both indoor and outdoor devices and network connections by absorbing the excess energy while still letting through the amount of power required for the switch to operate normally. 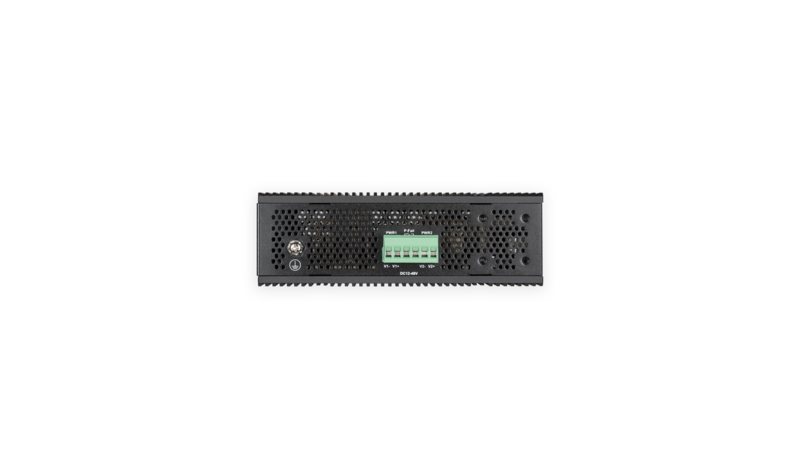 This helps to increase network reliability, reduces repair costs, and remove the need for replacement hardware in the event of an electrical surge or lightning strike. 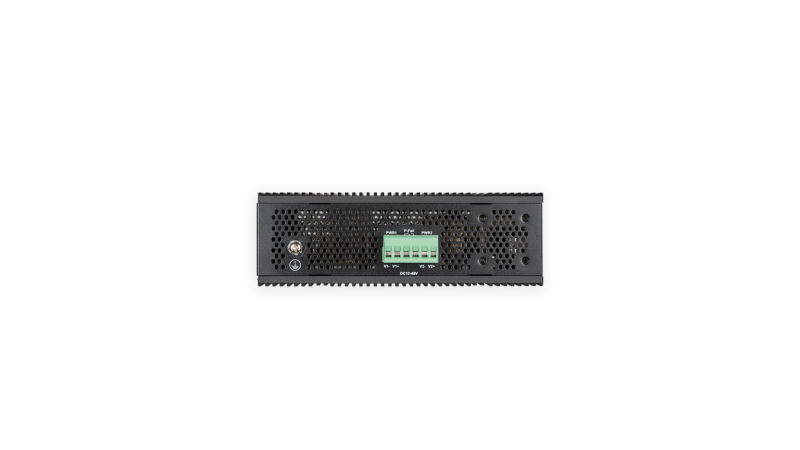 The DIS-200G Series supports ERPS quick failover recovery for ring topologies to ensure minimal downtime and avoid any loss of data in mission-critical deployment settings. Meanwhile, the dual power input allows for a redundant power supply to make sure the device continues to operate in the event of a primary power supply failure. The DIS-200G Series supports the Auto-Surveillance VLAN (ASV) feature. This automatically detects surveillance devices and puts them into a dedicated surveillance VLAN, segmenting this type of traffic from the rest of the network. This provides increased security of surveillance data, and gives the traffic a higher priority through the switch, minimizing the chances of video freezing or being delayed on live streams. 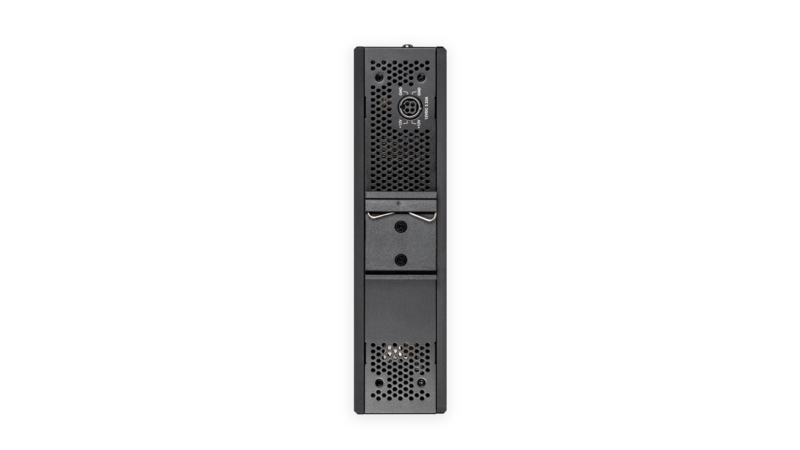 A single switch can be used for both surveillance and data networks, removing the need for dedicated surveillance hardware while simultaneously reducing maintenance costs. 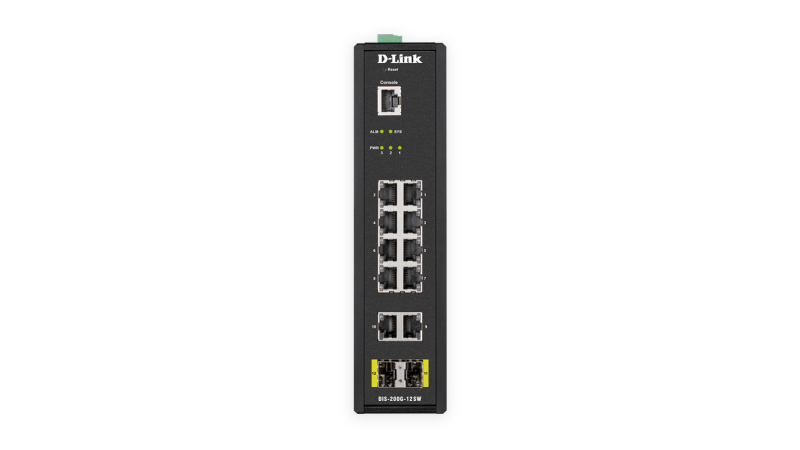 The DIS-200G Series features loopback detection and cable diagnostics to help network administrators find and solve network problems quickly and easily. Loopback detection is used to detect loops created by a specific port and automatically shuts down the affected port. Cable diagnostics allows network administrators to quickly examine the quality of the copper cables, recognize the cable type, and detect cable errors. The DIS-200G-12PS and DIS-200G-12PSW are PoE-ready switches with a total PoE budget of 240 W, capable of supplying up to 30 W of power per port to connected PoE-enabled devices. This effectively reduces deployment times, reduces cable clutter, and eliminates the need for dedicated power supplies to allow PoE-devices to be installed in remote locations. 1 The actual available PoE budget depends on the power supply connected to the switch. 2 Limited lifetime warranty is available in the USA only. The warranty is void when not purchased from an authorized US D-Link reseller. Please visit us.dlink.com for a list of authorized US resellers.